My research focuses on the incorporation of Japanese Peruvians into Japanese society. The primary site for my dissertation was a public elementary school that had more than 50 immigrant students. In the school, I worked as an interpreter and assistant teacher, mediating between the Japanese teachers and the Peruvian parents. I use qualitative methods, including participant observation and intensive interviews, to examine the relations between these two groups. I highlight how teachers use the power of their position to reinforce immigrant parents’ outsider status. In my book chapter in Language and Citizenship in Japan, I also examine the school’s efforts to educate immigrant children, including its ineffective remedial Japanese language program. This program serves as an “ethnic project” that excuses the lack of a structured curriculum for immigrant children by claiming the children have a greater need to relax from the stress of being foreigners in Japan. A revised and updated version of this chapter has just been published as “Separate and Unequal: The Remedial Japanese Language Classroom as an Ethnic Project” in the Asia-Pacific Journal. I am currently preparing several journal articles for publication. 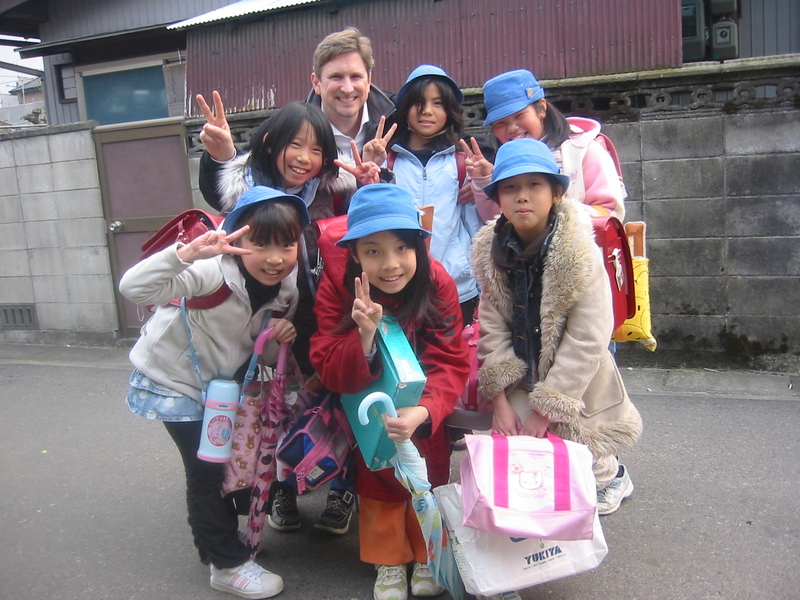 “(In)Competent in Japan” examines Japan’s ethno-racial hierarchy through an analysis of my positionality in three relationships: with Japanese teachers at the school where I conducted my fieldwork, with the South American parents, and with Japanese academics. In each of these relationships, I was positioned differently—as an honorary insider, as a fellow outsider, and as a less-than-competent foreign scholar. To date, research on foreign migrants in Japan has concentrated on dyadic relationships between immigrant groups and Japanese society. My analysis inserts a missing element to these relationships—the field researcher—thereby enabling an analysis of the triadic relationship between Japanese, immigrants, and the researcher. Examining the researcher’s positionality provides us contrasting cases that we can use to a perform more nuanced analyses, adding a third dimension to a two-dimensional model. The contributions that that I have made would have been impossible if I had not put myself at the center of this analysis. This examination reveals the multi-stranded construction of Japan’s ethno-racial hierarchy, including the ways in which the gaijin category is problematically homogenizing. My analysis further reveals how dominant notions of Japanese identity obscure the hierarchical ranking of foreigners in Japan. This simplistic categorization of identity defines the boundaries of insider and outsider by dividing the population of Japan into two groups: Japanese (Nihonjin) and foreigner (gaikokujin, or, in its more colloquial and derogatory abbreviation, gaijin). Popular discourse reinforces this dichotomy by treating the Japanese as a homogeneous group, and by lumping non-Japanese into a singular gaijin category. “Meet Me in the Middle: The Selective Assimilation of Japanese Peruvian Immigrants in Japan” explores Peruvian immigrants’ assimilation strategies, focusing on their desire for greater Japanese accommodation to Peruvians’ presence. A third article (currently untitled) examines Japanese teachers’ treatment of South American parents as an ethnic project, in which teachers cite the parents’ ethnic and class differences as a barrier to their children’s integration into Japanese society. For my next major project, I am interviewing second-generation Peruvian high-school students in Japan regarding their ethnic identity, social networks, and future aspirations. My research fills in a gap in immigration scholarship by focusing on the understudied Peruvian minority case, through the lenses of remedial education and local community. I show how school and local communities both reproduce exclusion and help incorporate immigrants. In so doing, I provide a unique look at the relationship between natives and immigrants in Japan. My work contributes to the growing literature on the role of ethnicity in migration by examining ethnic return migrants’ marginalization in their ancestral homeland and the implications of this marginalization for Japanese ethnicity, nationality, and citizenship. Moreover, my research expands Western theory by adapting it to the specifics of the Japanese case.